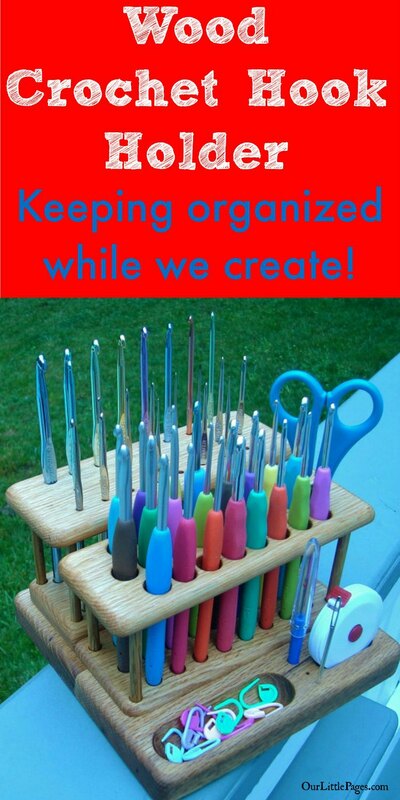 Wood Crochet Hook Holder or Organizer Add to Flipboard Magazine. 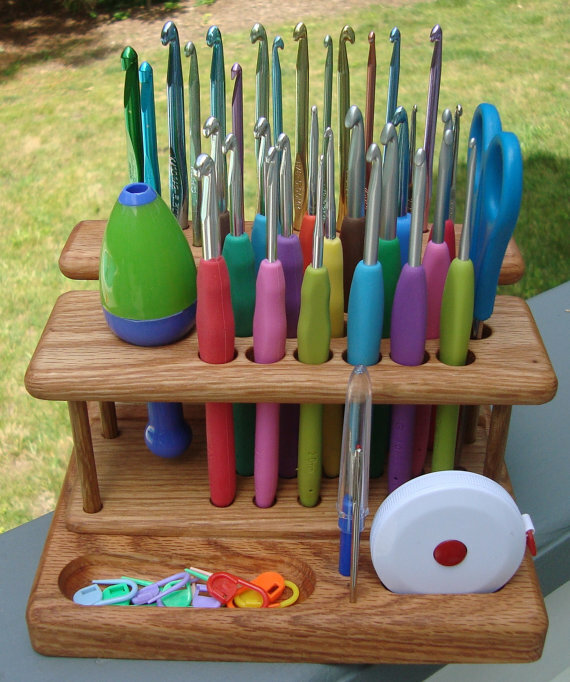 I am so EXCITED to get my Wood Crochet Hook Holder! 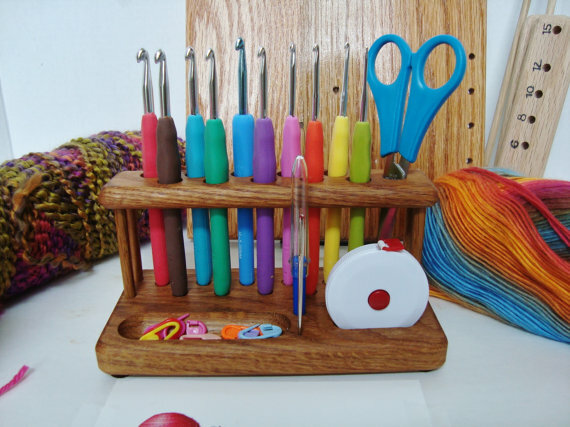 My Wood Crochet Hook Holder will make all my supplies in one place, ready for me to grab them when I need them while crocheting. That sounds perfect! I’m usually digging in my bag every time I need the scissors. I have finally found the perfect wooden crochet hook holder. 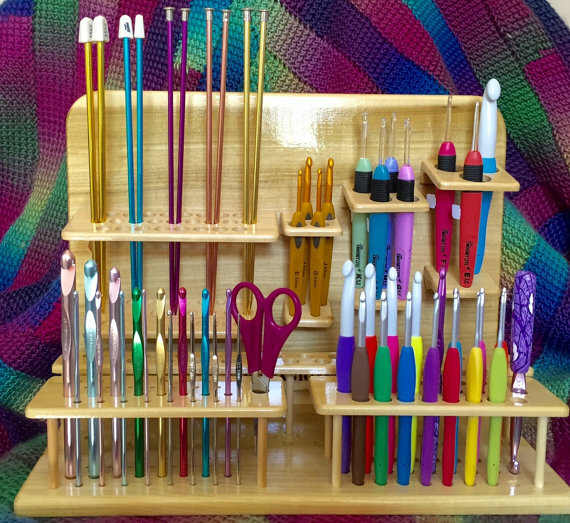 What Is a Wood Crochet Hook Holder? It’s like a caddy for crocheting. I have a cleaning caddy that carry’s everything I will need to clean my house with. I carry it from room to room so its all there without me running up and down the stairs. 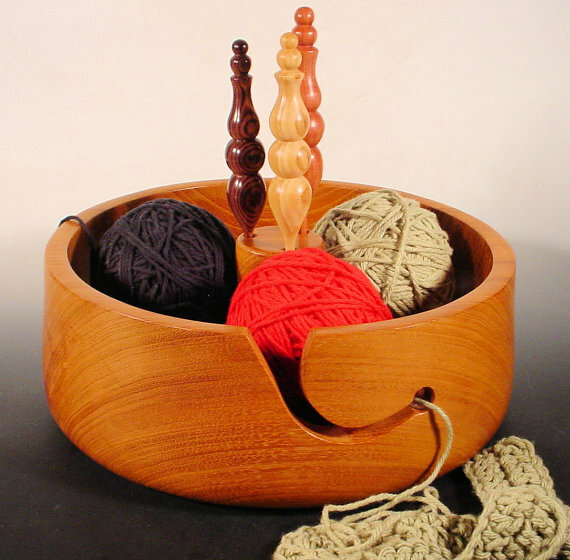 A wood crochet hook holder or caddy is much the same. It holds everything you need for any crochet job. 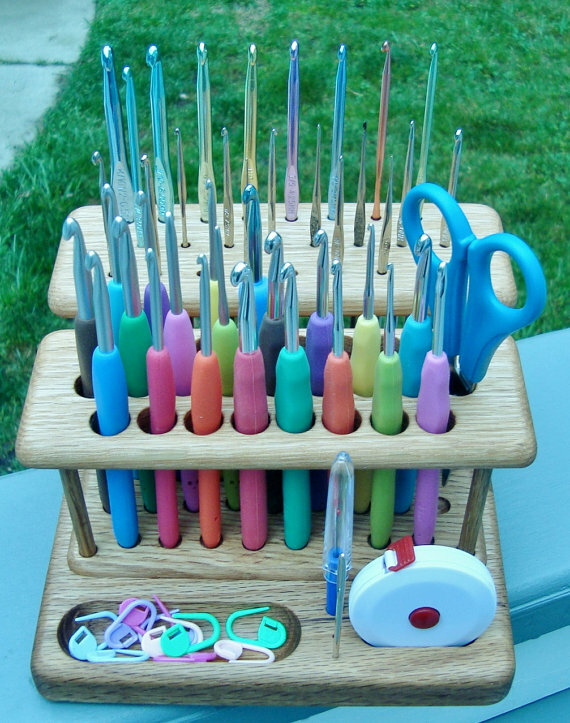 Depending on the size you buy, it will hold crochet hooks, even the ones with the rubber grip on them, scissors, sewing needle, those save your place pins (I can never remember what they are called), but when I need them, I want them within arms reach. That is what a crochet hook stand does for a person that crochets. I prefer wood because I know it will last longer. These are all handmade, so the quality is really good. 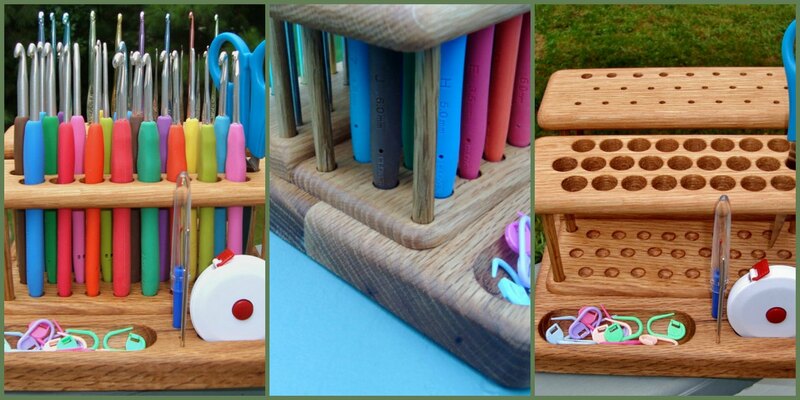 Any of these wooden crochet hook holders will be great! This is the Wood Crochet Hook Holder I chose because it held both my standard metal crochet hooks and my crochet hooks with rubber grips. I like the convenience of it and that everything stands neatly in the holes that were designed for it. 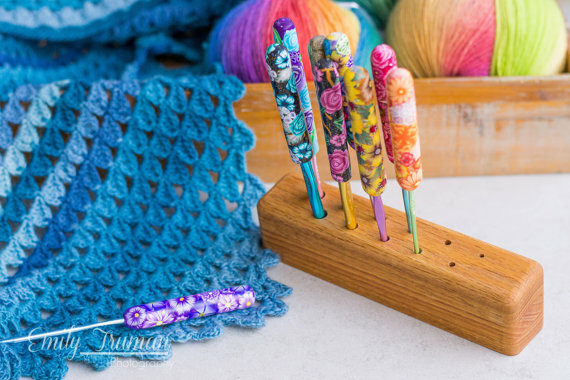 This wood crochet hook holder was designed to work with both crochet hooks and knitting needles. So many of us do both, that it’s nice we can store both our needles and hooks together. 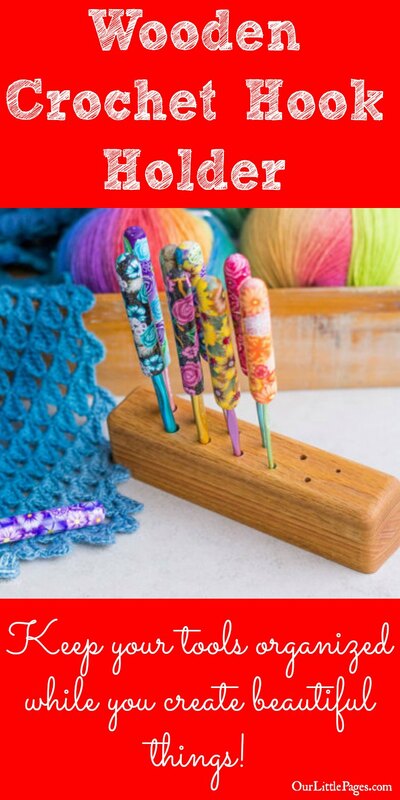 This wooden crochet hook holder is specifically designed for those that like to use the Boye Ergonomic Adapter for Aluminum Crochet Hooks. It is an adapter that makes it easier for some to hold. 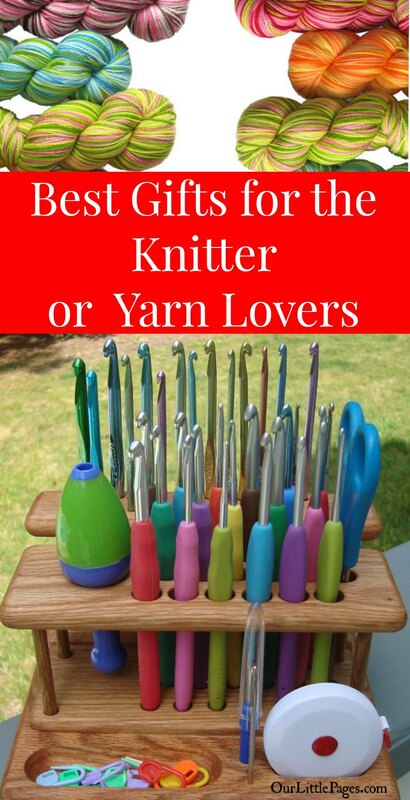 Maybe those with arthritis for other problems that makes holding the small crochet hooks for any length of time. 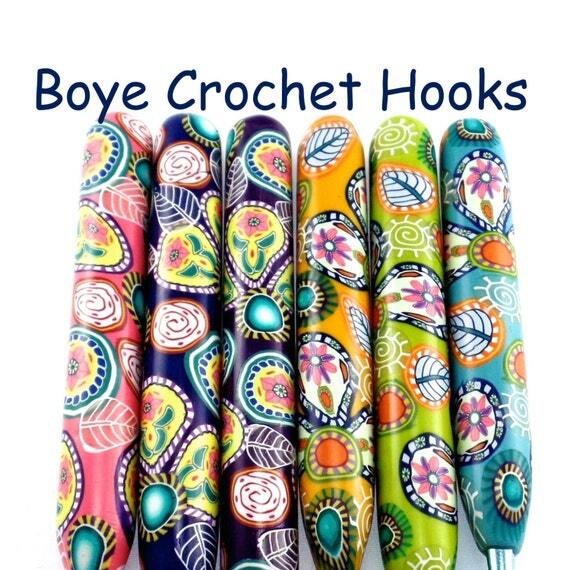 If you only have the comfort grip crochet hooks, then this may be what you need. The others have holes for both the comfort grip and the metal crochet hooks. It is made by the same people in Virginia out of Red Oak Wood. It is smaller and has bigger holes just to accommodate the grip handle. Personally, I have both, so I got a wood crochet hook holder that hold both. 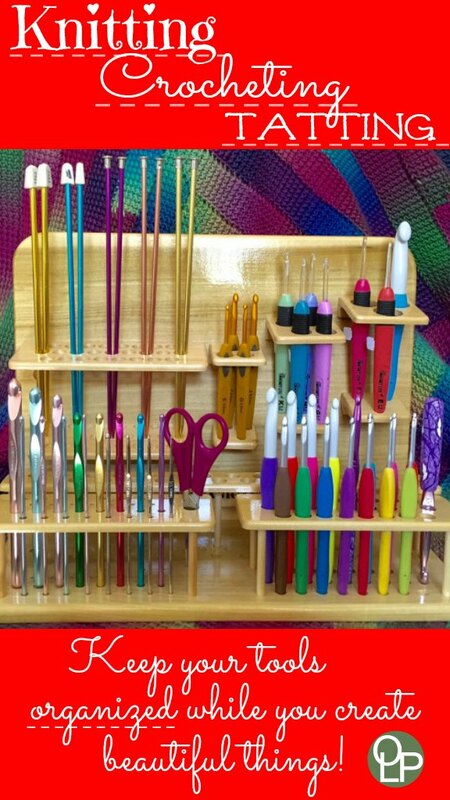 If you really want something simple just to hold your crochet hooks while you work, you can find those too. Here is a in-line crochet hook stand that holds hook sizes C through M with the handle side up. 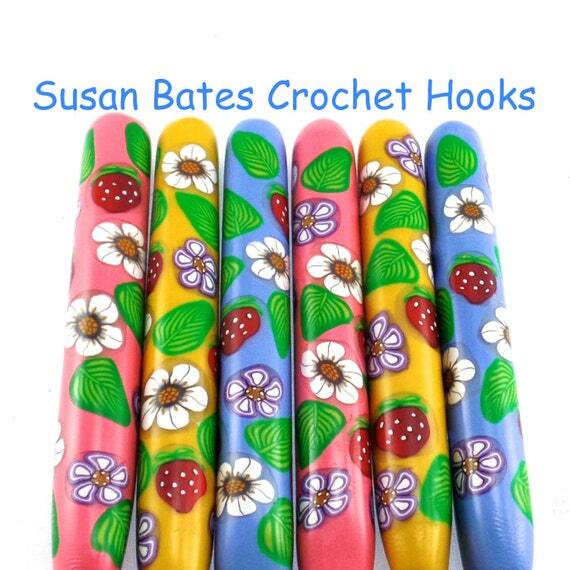 I love the beautiful polymer clay crochet handles on these in the picture. 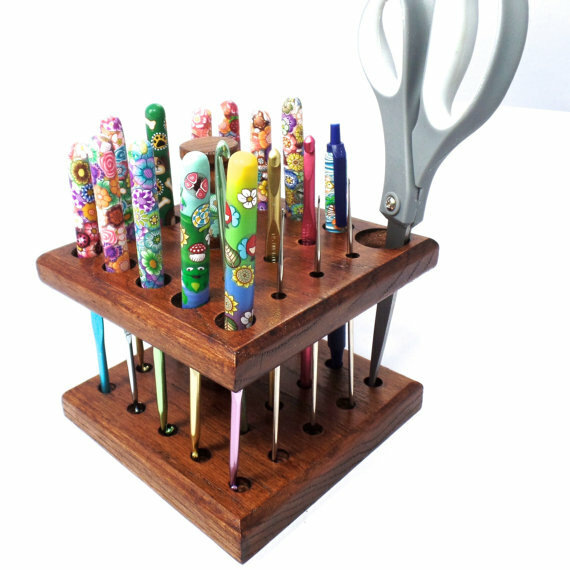 This woman thought to make a crochet hook organizer from her own polymer clay designs and Oak wood. It reminds me of my grandfathers pipe holder, but with much smaller holes. I had to share with yarn bowl because it is large enough for yarn and for 3 crochet or knitting hooks to stand up in the middle. Its handmade, so you just tell him what size holes you want for your hooks. 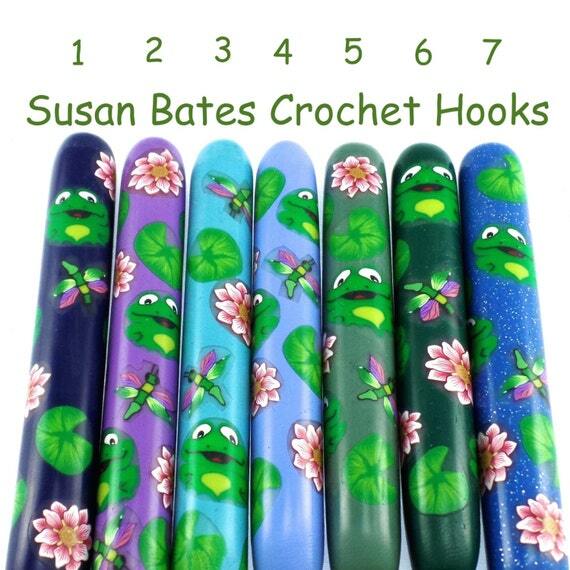 These polymer clay covers are made right over the metal crochet hooks with polymer clay canes. Then she sands and polishes them. The color will never wear off. These just make me happy. I don’t have any, yet…..but I will.